Buy Rite Auto Sales, Inc.
Visit our no credit car dealership today! Are you looking at car buying options but can't find bad credit car lots that will give you in-house auto financing? In a tough economy trying to find a reliable automobile at an affordable price can make car buying a difficult task to accomplish. Buy Rite Auto Sales are low down payment car dealers that are here to make your life easier with easy in-house financing options so you can buy here and pay here! Buy Rite Auto Sales is San Antonio’s Premier bad credit car financing used auto dealer. When most other in-house car financing dealerships may turn you down we strive to provide San Antonio, TX solutions and access to cars they love at prices they can afford. Stop by today and take a peek out our large inventory of quality automobiles. Click here to access incredible auto specials! At Buy Rite Auto Sales there is no license needed, call to find out more information. It can be a tough situation when you need a vehicle, but you don't have the credit to get you what you want. At Buy Rite Auto Sales, Inc, we provide bad credit car financing to our customers. 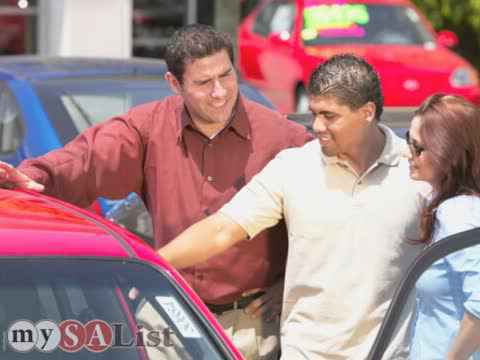 Our bad credit car lots provide you with vehicles with low down payment options. Stop in or give us a call today to learn more! If you find yourself without an automobile and no credit or less than perfect credit, our bad credit loans can help you. With no credit, bad credit, in-house auto financing, and a huge inventory of autos, trucks, and SUVs at unbeatable prices, Buy Rite Auto Sales makes it simple and convenient to find quality vehicles. When it comes to making one of the largest investments you need a quality auto dealership standing by your side. We are one of the premier bad credit car lots in the area, so stop by today! Bad Credit Car Financing That Can Get You Exactly What You Want! To get pre-approved for bad credit car financing within seconds, please visit: www.buyriteautoinc.com with a valid ID. Connect with and like us on Facebook and follow us on Twitter. Our credit builders look forward to providing San Antonio, TX auto buyers a positive and stress-free used auto buying experience. Buy Rite Auto Sales also provides military financing and regular bank financing. Our in-house financing department's aim to get everyone approved! Choose from our huge selection of used Hondas, Buicks, Fords, Dodges, Chevys, Buicks, Chryslers, Nissans, and other makes and models. If you don’t see a used auto, used truck, used SUV or used van you want, just go to our car finder and fill out the easy form. We are a no credit car dealership and we offer low down payment car dealers! Once we locate the auto you want we will notify you. With high-quality, personalized service, our friendly staff is here to help you find a vehicle to fit your life and budget. At Buy Rite Auto Sales, we always stock a good mix of SUVs, coupes, sedans, and trucks so everyone is sure to find a vehicle they love. Stop by today and test out a few of our quality autos. We can get you started on buying an auto today. At Buy Rite Auto Sales there’s no reason to rush. We provide San Antonio, TX and surrounding areas sound advice so they can make informed decisions, ensuring they are buying the right car for them. With specials changing regularly and low down payments, finding and purchasing a car has never been easier. Take advantage of our buy here pay here program. No driver’s license? No problem, bring in your valid ID (we also accept a Mexico License). Just go online to take a look at our list of items needed and you’ll be on your way to getting into your dream car. We are the best no credit car dealership in the area! Planning to buy a vehicle? Is your budget tight or your credit less than perfect? We offer military financing and regular bank financing to help you buy your dream car. Our selection includes the top makes. You can find SUVs, coupes, sedans, trucks, and more at our no credit car dealership in San Antonio, TX. Get in touch with us to drive home your new-to-you car today. Look No Further for Used cars with Low Down Payment Options! Along with impressive auto selections we offer high quality in-house financing. Our buy here pay here programs are perfect for anyone with no credit, not enough credit and bad credit. In fact, we give bad credit auto loans all the time! We do not use your credit bureau in our decision making process; our loans are based on qualifications of your job and residence stability. To get pre-approved in just seconds, click here. Our team is here to help you. At Buy Rite Auto Sales we believe everyone deserves a reliable auto. From in-house car financing, military financing, buy here pay here and bank financing, we offer simple and convenient financing options. Running on a low budget? If you are looking for a used automobile that is in a great working condition, we have the right options available for you. All our vehicles are reasonably priced. When you visit Buy Rite Auto Sales, you can get a choice of your car for a low down payment. We serve clients in San Antonio, TX and the surrounding areas. If you are looking to purchase an affordable car for a low down payment, get in touch with our team today. For those who aren’t exactly sure of what buy here pay here means, it means that instead of using a traditional lender, you make payments here. There isn’t much difference in using a bank compared to buy here pay here. The benefits are great to use as a credit builder, trade in flexibility and most importantly you get much needed auto transportation! We understand with life comes surprises and financial issues happen, but it shouldn’t stop you from getting from point A to point B. Let our credit builders make car buying easier for you! With an A+ rating from the Better Business Bureau (BBB), you can trust you are receiving first rate autos and exceptional service. An auto is one of the largest investments people will make. If you are in the market for an auto, make the smart choice and stop by the no credit car dealership at Buy Rite Auto Sales today. We take the hassles of trying to locate the right car and the right price out of your car search. What are you waiting for? Come by and take a test drive today! To find a used vehicle that is dependable and affordable, visit Buy Rite Auto Sales today! We’re ready to help you buy the right car! Click here to view our car buying specials! Chevrolet, Ford, Toyota, Honda, Dodge, Pontiac, Nissan, GMC, Mazda, and More!